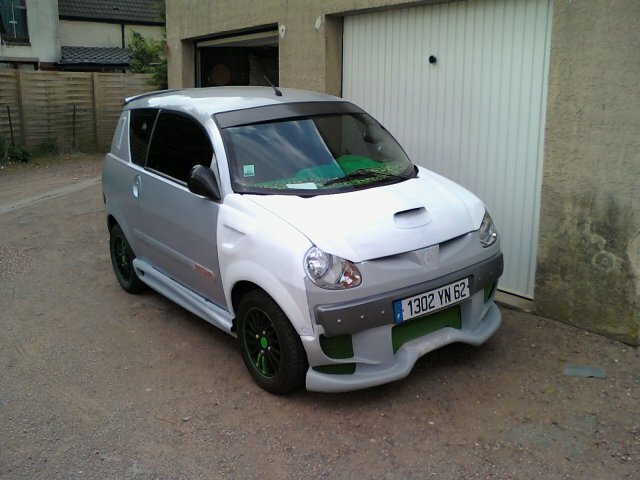 Andrew says: This is a Aixam micro car. It either has a 2 cylinder petrol or electric motor. Both are total shite. Top seed on petrol 45-50mph. Top speed on electric is 30mph. And 2 hours to get there. It's made of plastic. There is no way on earth you can make one of these look fast. Seriously tho I can run faster than this shite off the lights. I'm not joking either. They are that slow. Burn that pile of French crap.